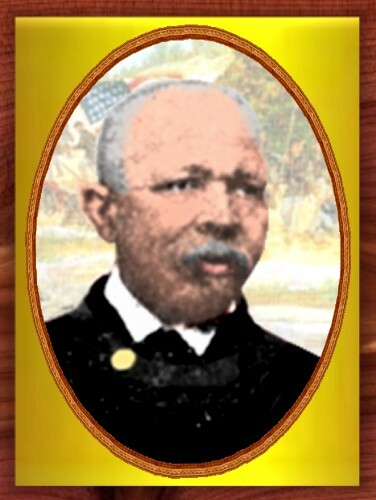 JOHN LAWSON was born in Pennsylvania on June 16, 1837. 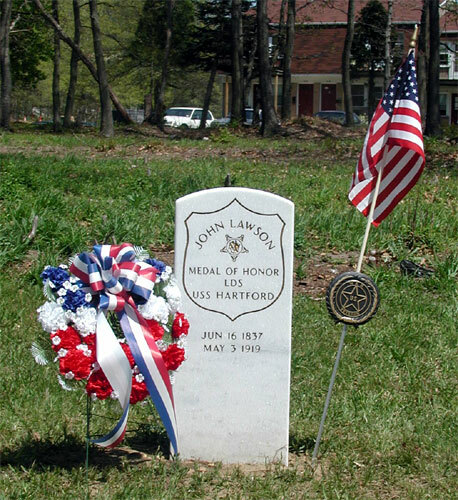 He served in the United States Navy during the Civil War aboard Admiral David Farragut's flagship, the USS Hartford, most likely joining the Hartford when the ship was refitted in Philadelphia at the end of 1861. On August 5, 1864 John Lawson, while serving on a six-man gun crew aboard Hartford during the Battle of Mobile Bay, famous for Admiral Farragut's orders "Damn the torpedoes. Full speed ahead", remained at his station and continued to see to his duties after a shell had wounded him in the leg and killed or wounded the rest of his crew. John Lawson was one of twelve men awarded the Congressional Medal of Honor for heroism that day. After leaving the Navy, John Lawson returned to the Philadelphia area, where he raised a large family and earned his living as a huckster. 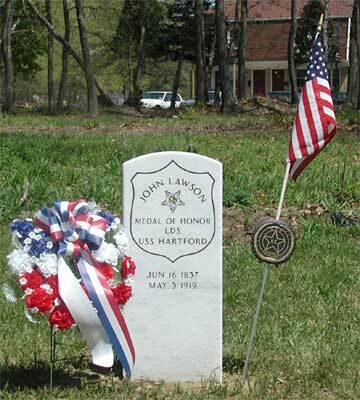 John Lawson died in Philadelphia on May 3, 1919. 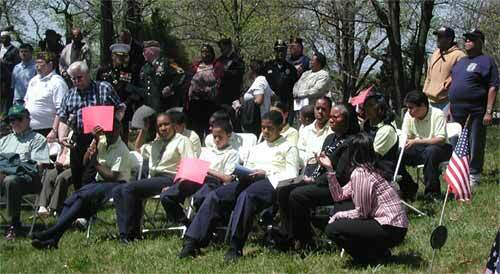 He had large extended family, many of whom resided in Camden NJ. 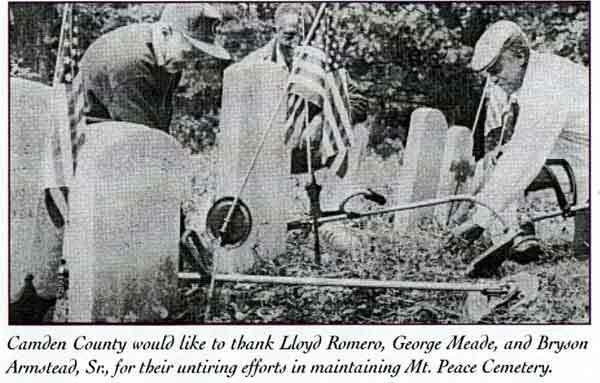 The family arranged to have him buried at Mount Peace Cemetery in what was then Center Township NJ. 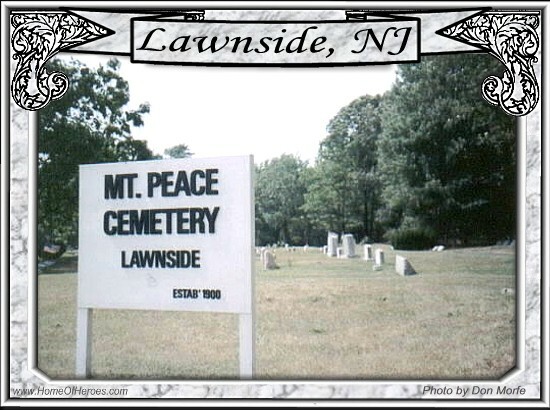 Center Township was divided into several boroughs a few years later, one of them being the borough of Lawnside, in which Mount Peace cemetery is presently located. Over time, the tombstone which marked John Lawson's grave sank, fell, or was worn to the point point of where it was unreadable. A fire at the cemetery offices destroyed burial records and the cemetery map, and his exact resting place is not known. 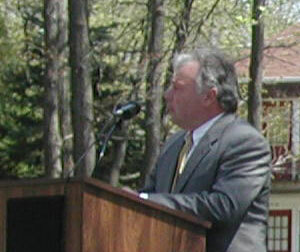 On April 24, 2004 a new tombstone was dedicated in John Lawson's honor, placed among the many other Civil War veterans who are buried at Mount Peace. 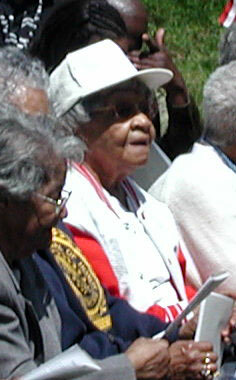 At least 72, including John Lawson, are known to rest there. 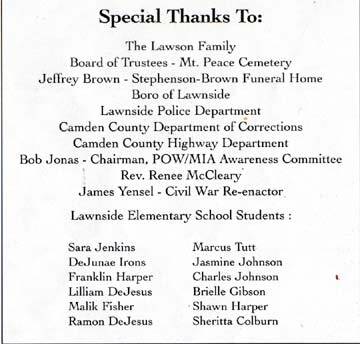 The Lawson family played a major role in the day's events. 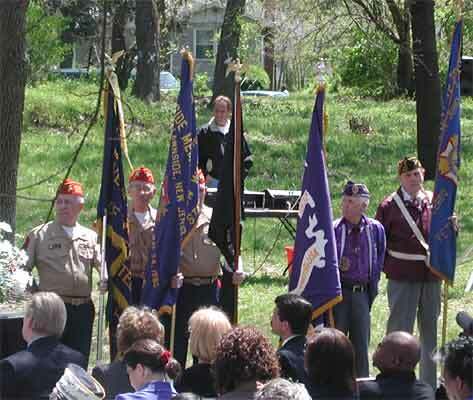 Present and participating at the ceremony were many of his descendants, including his grand-daughter, great-grandson, and two great-great-great-grandsons. 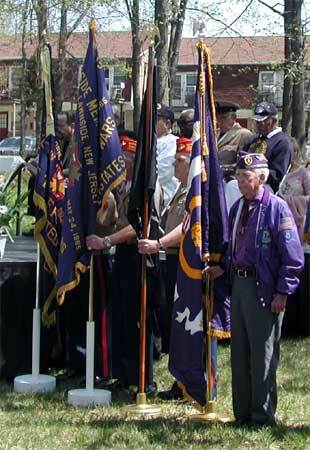 Many veterans' groups were also represented, including the American Legion, Veterans of Foreign Wars, Marine Corps League, Military Order of the Purple Heart, and the Pearl Harbor Survivors Association. Rank and organization: Landsman, U.S. Navy. Born: 1837, Pennsylvania Accredited to: Pennsylvania. General Order Number 45, December 31st, 1864. On board the flagship U.S.S. Hartford during successful attacks against Fort Morgan, rebel gunboats and the ram Tennessee in Mobile Bay on 5 August 1864. Wounded in the leg and thrown violently against the side of the ship when an enemy shell killed or wounded the 6-man crew as the shell whipped on the berth deck, Lawson, upon regaining his composure, promptly returned to his station and, although urged to go below for treatment, steadfastly continued his duties throughout the remainder of the action. Screw sloop (1f/3m). L/B/D: 225 × 44 × 17.2 (68.6m × 13.4m × 5.2m). Tons: 2,900 disp. Hull: wood. Comp: 310. Arm: 20 × 9, 20 × 20pdr, 2 × 12pdr. Mach: horizontal double-piston rod engines, 1,204 ihp, 1 screw; 13.5 kts. Built: Harrison Loring, Boston; 1859. USS Hartford's first assignment was as flagship of the East India Squadron under newly appointed Flag Officer Cornelius K. Stribling, charged with safeguarding U.S. interests in the Philippines, China, and elsewhere in Asia. 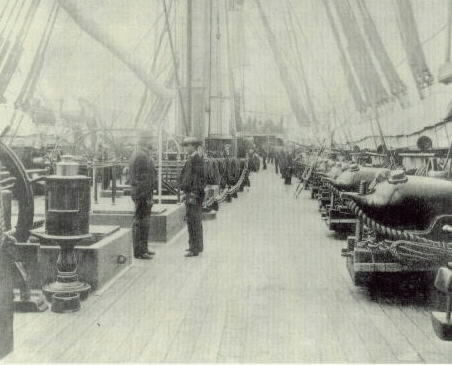 Ordered home following the start of the Civil War, Hartford fitted out at Philadelphia and sailed at the end of 1861 as flagship of Flag Officer David G. Farragut's West Gulf Blockading Squadron. It is likely that while in Philadelphia, John Lawson joined the crew of the Hartford. Although the operations of the Union high command embraced the coast from Pensacola, Florida, to Texas, their primary objective was the capture of New Orleans, the first city of the South. Farragut marshaled his forces at Ship Island, off Biloxi, Mississippi, and his deep-water ships crossed the Mississippi River bar in April. Forts St. Philip and Jackson were engaged by Commodore David Porter's mortar schooners and steam gunboats for a week before Hartford led the advance past the Confederate batteries on April 24. Nearly rammed by the ironclad CSS Manassas, she then ran aground trying to avoid a fireship that landed alongside her near Fort St. Philip. The fires were extinguished, and Hartford fought her way upriver. Subsequent resistance was negligible, and New Orleans all but surrendered on April 25. Farragut's next objective was to secure the Mississippi River. Baton Rouge and Natchez fell easily before the Union fleets. But with its 200-foot-high bluffs crowned by Confederate batteries, Vicksburg, Mississippi, was all but impregnable. Leaving a gunboat force below the city, Hartford and the other Union ships returned to New Orleans at the end of May. With orders direct from President Abraham Lincoln, Farragut's force returned to Vicksburg on June 26, and then ran the gauntlet to join the Western Flotilla above Vicksburg on June 28. A month later Hartford sailed for Pensacola, via New Orleans, for repairs. Returning in November, Farragut blockaded the Red River, south of Vicksburg, while General Ulysses S. Grant moved overland to take Vicksburg from the rear. On March 14-15, Hartford and Albatross ran past Confederate batteries at Fort Hudson, Louisiana, and patrolled between there and Vicksburg, which finally fell on July 4, followed by Fort Hudson, which capitulated on the 9th. In Lincoln's felicitous words, "The father of waters again goes unvexed to the sea"—the Confederacy had been cut in two. Despite the fact that Mobile was, after New Orleans, the Confederacy's largest port, other operations received priority and Farragut's squadron was relegated to blockade duty for the remainder of 1863. Hartford returned to New York for an overhaul in August, and was not fit for sea again until January 1864. In June, Hartford was off Mobile with a flotilla reinforced with monitors and ironclads to counter the Confederate ironclad Tennessee. The Battle of Mobile Bay finally opened at dawn on August 5. The monitors advanced past Fort Morgan, followed by USS Brooklyn at the head of the Union fleet until she fell out of line, and Hartford took the lead. Although Farragut's oft-quoted "Damn the torpedoes; full speed ahead" is apocryphal, he was lashed to the rigging, and by leading his column across the Confederate minefield, he quickly got his ships well into Mobile Bay and out of range of Fort Morgan. The only remaining obstacle was Tennessee, which at 0845 commenced an attack on Farragut's ships. In the brawl that followed, the Union ships poured fire on the impervious ironclad and attempted to ram her, doing more damage to themselves. Finally, at 1000, with her tiller chains shot away, Tennessee was compelled to surrender. The forts surrendered by August 23, 1864. Although the war was over before Mobile fell, as a blockade-runner's haven the port was finished. 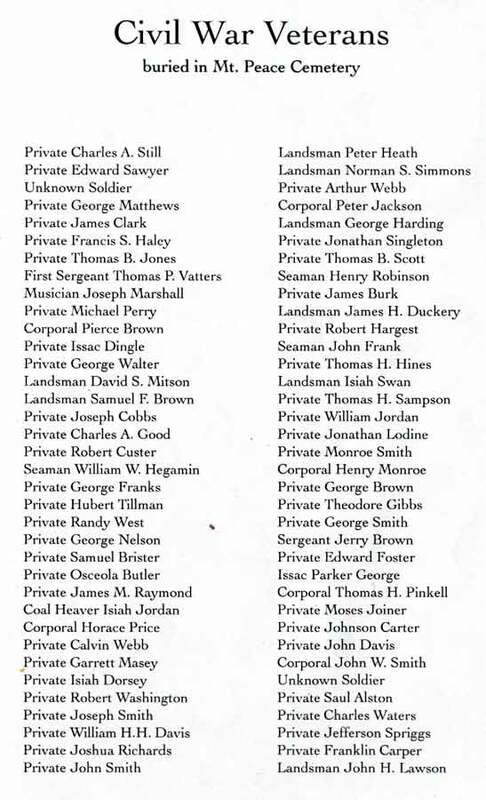 It is unknown as of this writing as to whether John Lawson was able to return to active duty after the Battle of Mobile. Given the state of Civil War medicine, and the fact that he lived to 1919, it is likely that his wounds were not serious enough to prevent him from continuing in service. 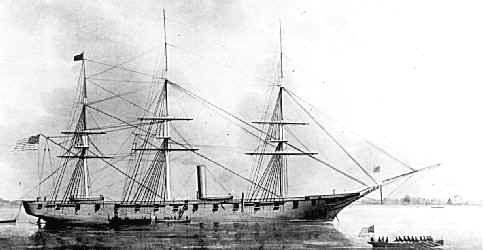 Hartford returned to New York for repairs in December 1865 and that July was sent out as flagship of the Asiatic Squadron, with which she served two tours of duty, 1865-68 and 1872-75. In 1887 she became a training ship based at Mare Island, California. Laid up from 1890 to 1899, she resumed work as a training ship in the Atlantic until 1912, when she was moored at Charleston, South Carolina, as a station ship. 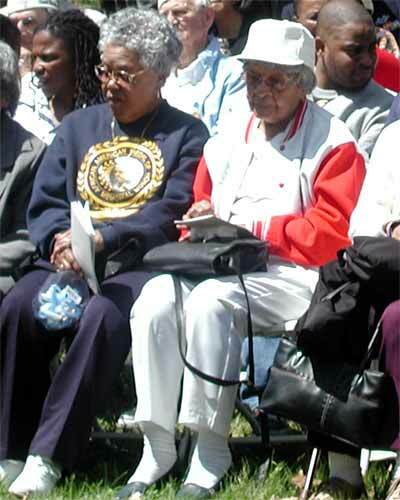 In 1938 she was moved to Washington, D.C., and after World War II transferred to Norfolk Navy Yard as a "relic." In 1956, she foundered at her berth and was broken up. Jameson & Sternlicht, Black Devil of the Bayous. 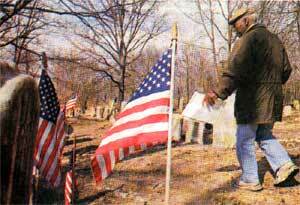 Bryson Armstead walks through the Mount Peace Cemetery in Lawnside, where Civil War hero John Lawson's grave exists without a marker. Armstead has been instrumental to the campaign to secure one. 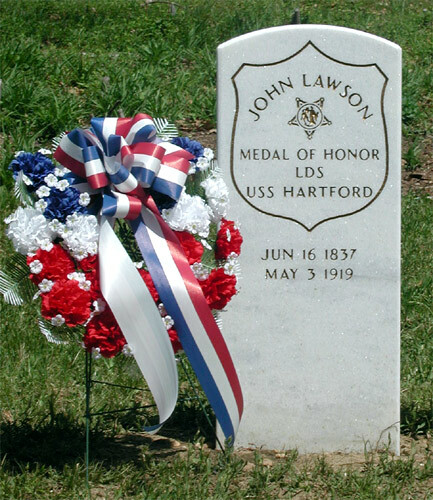 Somewhere beneath the gentle slopes of Mount Peace Cemetery in Lawnside, a Medal of Honor recipient named John Lawson rests. 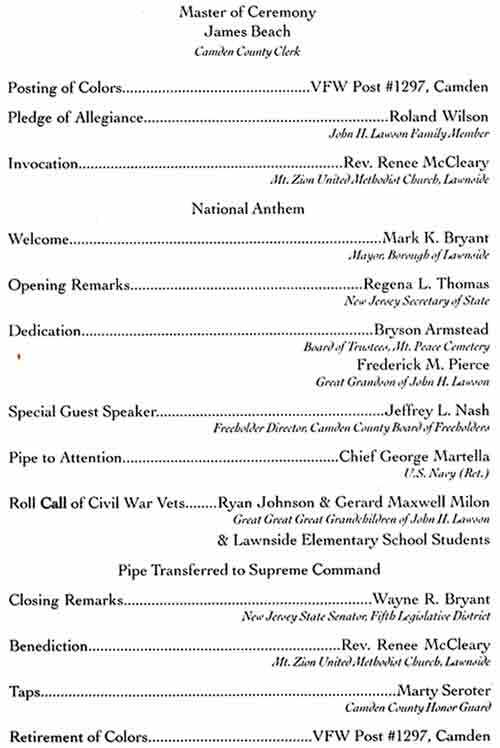 But it's difficult for visitors to the modest burial ground on the White Horse Pike to pay their respects to this Civil War hero, because no headstone marks his grave. 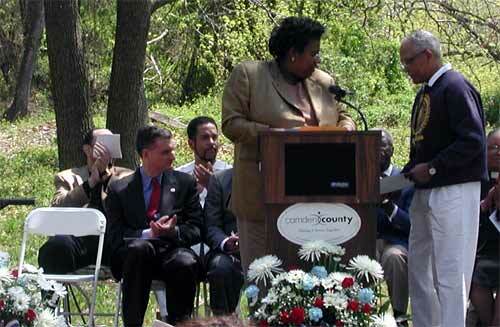 That won't be the case much longer, thanks mainly to the efforts of a gentlemanly fellow - and fellow veteran - by the name of Bryson C. Armstead Sr.
A retired educator, Armstead has been campaigning for several years to secure a headstone for Lawson, who is among 71 African-American Civil War veterans buried at Mount Peace. Their graves are marked, but Lawson's isn't - for reasons unknown. It's possible the stone was toppled, damaged or stolen. Or perhaps no stone was ever erected. 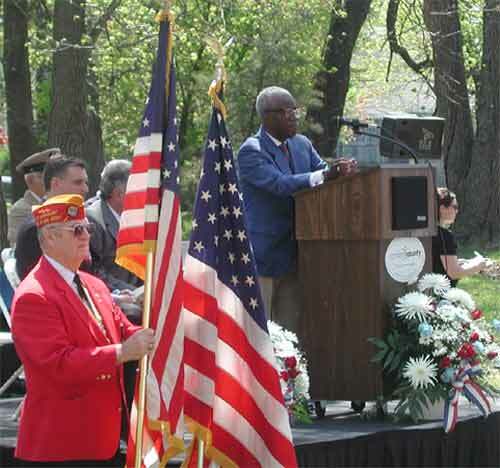 Whatever the case, "it's unbelievable," said Armstead, a Lawnside resident who served with the Navy in World War II. Armstead, who declines to give his age, speaks deliberately and with carefully calibrated emphasis. 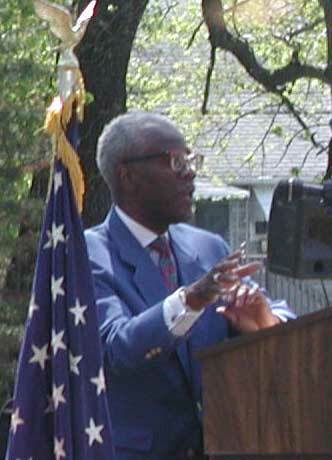 He's a serious-minded man, well aware of history's weight, especially as it bears upon African-Americans. "It's sinful that (Lawson) wouldn't be recognized," Armstead said. 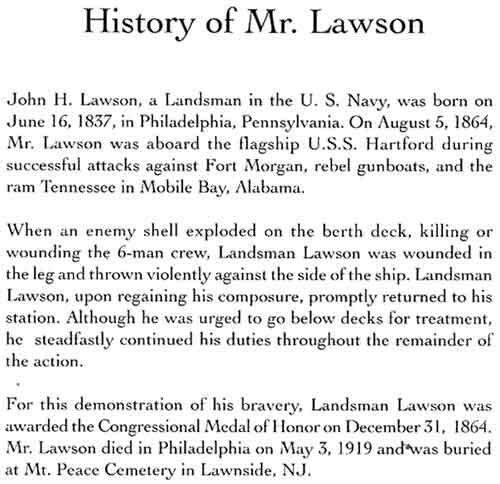 Lawson, who was born in Philadelphia in 1837, was aboard the USS Hartford as it attacked Fort Morgan from Mobile Bay, Ala., on Aug. 5, 1864. 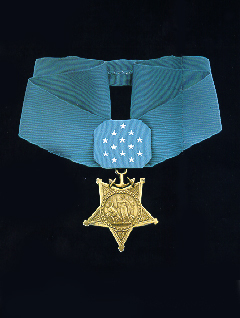 According to the text of the Medal of Honor citation issued on Dec. 31, 1864, Lawson was "wounded in the leg and thrown violently against the side of the ship when an enemy shell killed or wounded the 6-man crew as the shell whipped on the berth deck . . . Lawson, upon regaining his composure, promptly returned to his station and, although urged to go below for treatment, steadfastly continued his duties throughout the remainder of the action." Lawson died in Philadelphia on May 3, 1919. For reasons that are unclear - but may well have had to do with his color - he was buried in Lawnside, then as now a predominantly black community. 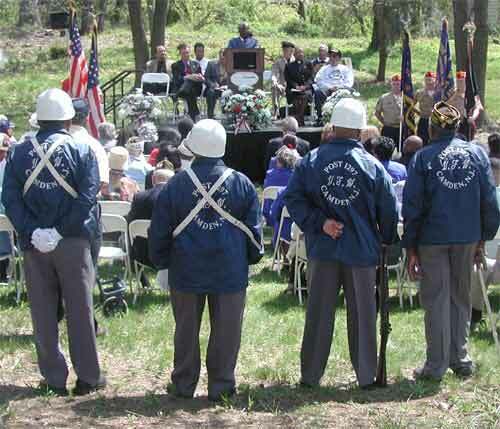 Norm Sooy, director of the Camden County Department of Veterans Affairs, said that at one point black vets couldn't be buried in certain cemeteries in Pennsylvania. 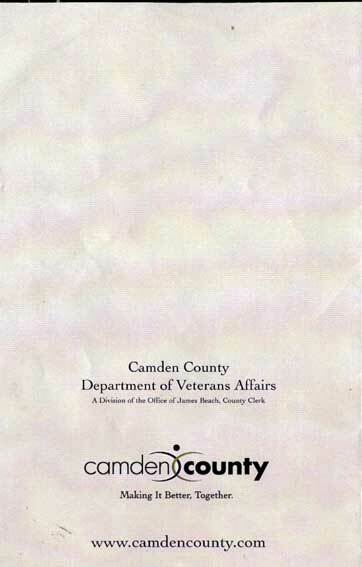 At Armstead's request, the county department applied to the U.S. Department of Veterans Affairs for a headstone for Lawson. 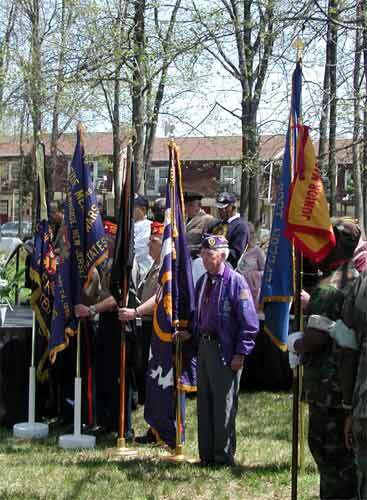 But when it arrived recently at the Merchantville establishment of funeral director Jeff Brown, who is assisting in the effort to honor Lawson, the stone was found to have been damaged beyond repair, Sooy said. "Well, life goes on," Armstead said, when asked if he was disappointed. 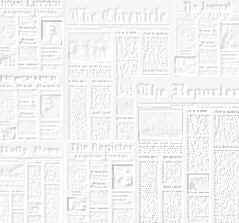 A replacement stone is supposed to be shipped "as soon as possible," Sooy said, adding the county department hopes to hold a ceremony honoring Lawson in April. Sooy also praised Armstead's efforts. "It's great," he said. Wayne Glasker, associate professor of history at Rutgers University in Camden, agreed. 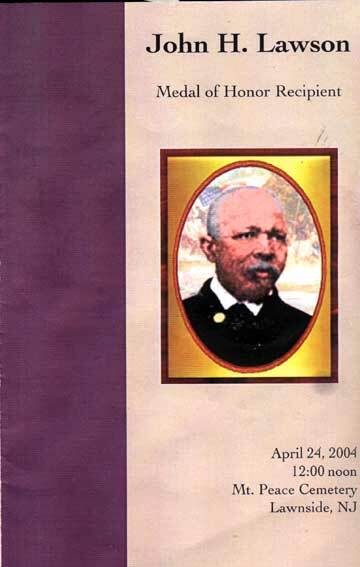 "John Lawson," he noted, "was one of the major African-American heroes of the Civil War." 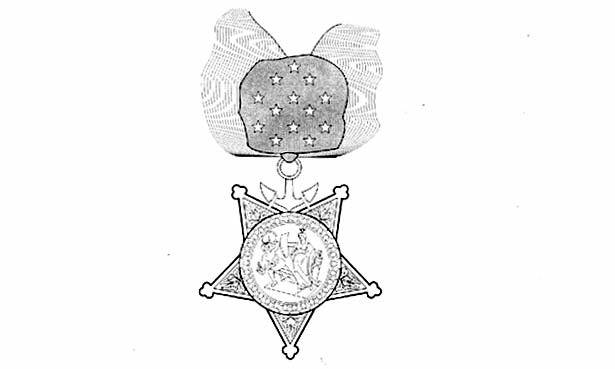 Lawson was among some 23 African-Americans to receive the Medal of Honor for their Civil War service. 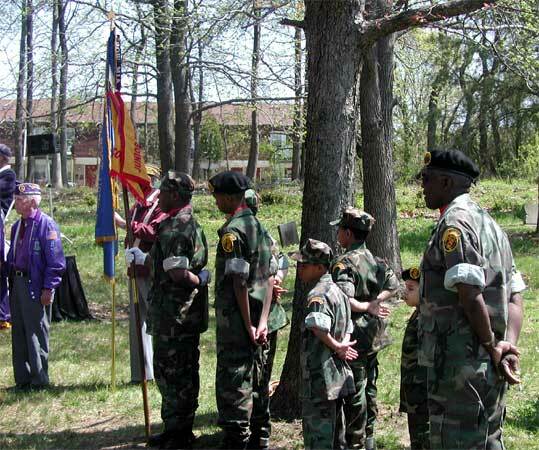 On Friday, under the encouraging sunlight of an almost spring-like afternoon, Armstead stood in the center of a row of graves of Civil War soldiers at Mount Peace. 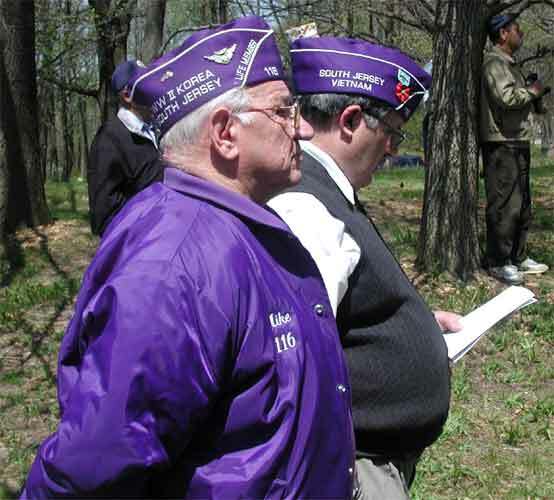 He noted that he and fellow Lawnside residents Lloyd Romero and George Meade began volunteering to clean up the neglected and overgrown cemetery more than a decade ago. Romero and Meade have since died, but Armstead wanted to make sure their contributions are acknowledged in this column. 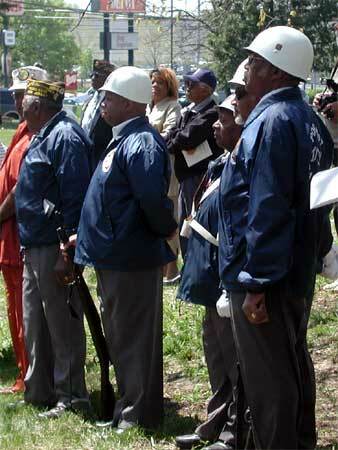 Asked why he soldiers on, Armstead said simply, "It's remarkable, the sacrifices our forefathers have made for you and I." 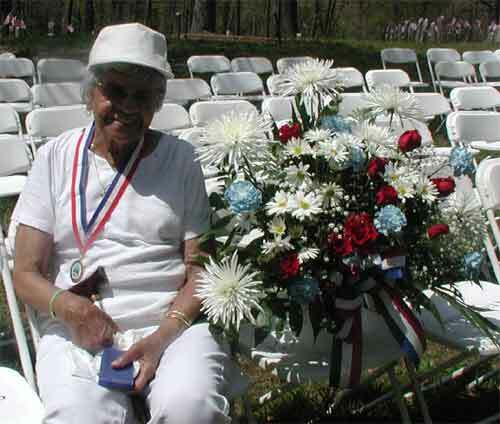 Grand-daughter of John H. Lawson.